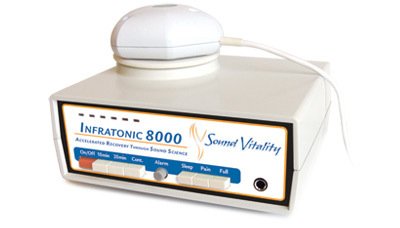 The infratonic 8000 (previous model was the infratonic 8) is an amazing machine that has no contraindications that I know of and is excellent as a supplemental tool in your healing arsenal! There is a 30 day trial moneyback guarantee, but I think that once you try it and witness the amazing benefits it gives, you won't want to give it up! Also check out the SoniCalm 3 and the SoniCalm PM for pain management.